It’s been 2 months since little Noa has been in our arms and I honestly don’t know how it’s been that long! The last couple of weeks before she was born felt like an eternity but these past couple of months have totally flown by! 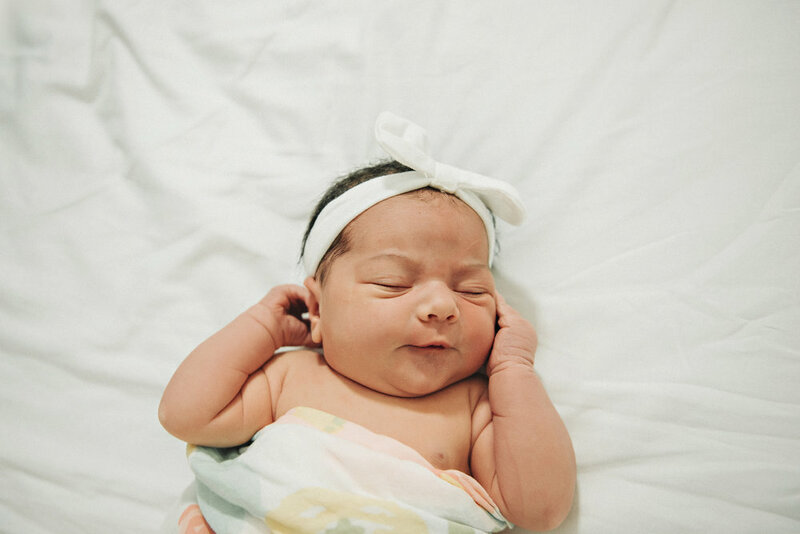 I started writing her birth story weeks ago, but my two girls have been keeping me busier than ever so I’m just getting around to publishing this post. This is probably the longest and most personal blog post I’ve ever shared, but it was such a huge moment in my life and I didn’t want to forget anything. 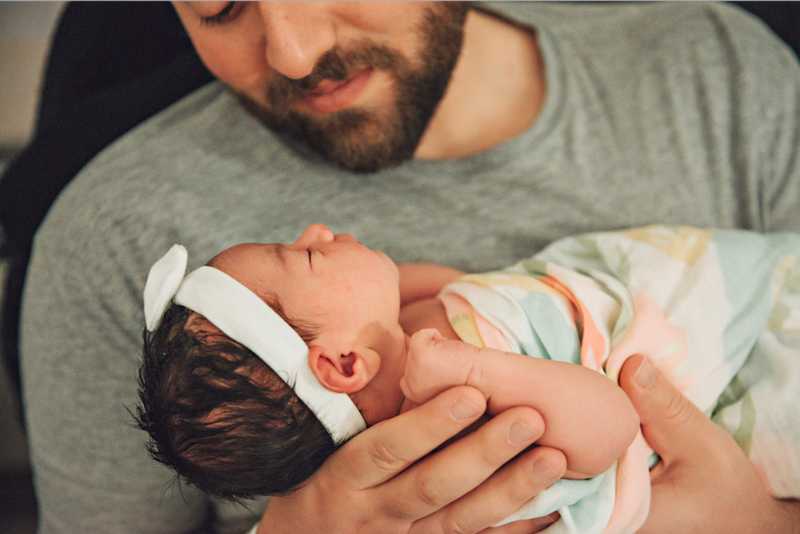 First I’ll share a little bit of background information about my first birth experience that will help you understand some of my decisions about my second time around. My older daughter, Adina was born at 39 weeks and I had an induction. My water had broken but I was not having any contractions and I was not dilated at all. I did not labor at home at all and once my induction began, I was confined to a hospital bed for nearly 17 hours. Because I had to be induced and I was not in labor, there were many more medical interventions than I had expected with her birth. 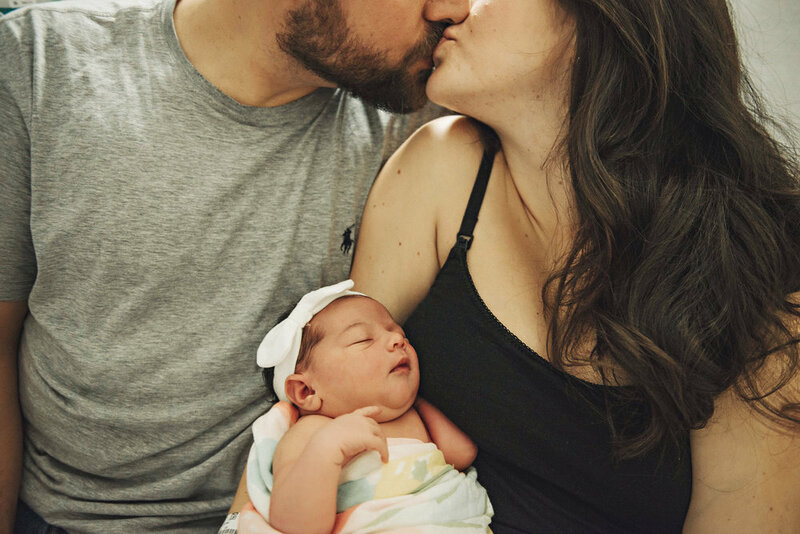 I spiked a fever during labor and Adina had a little bit of trouble breathing once she was delivered so she was brought immediately to the NICU. Seeing my baby hooked up to so many tubes and wires was not what I was expecting as a first-time mom. I also had to share a room at the hospital (this is very common for New York City hospitals) with another new mom and her baby but Michael couldn’t stay over so I was by myself while Adina was in the NICU. 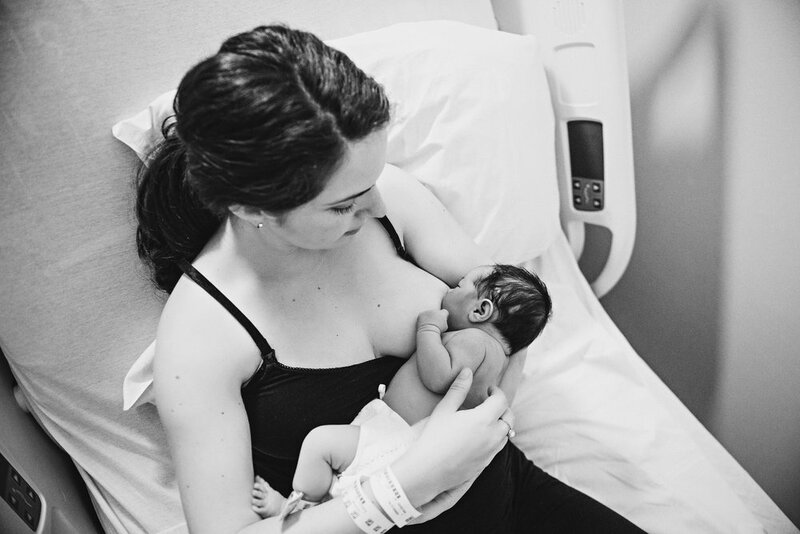 I also did not do any skin to skin or get the chance to nurse her right away, and got our breastfeeding journey off to a rocky start. The combination of my very long labor and Adina’s NICU stay left me feeling a bit traumatized. My recovery took a long time and wasn’t easy. 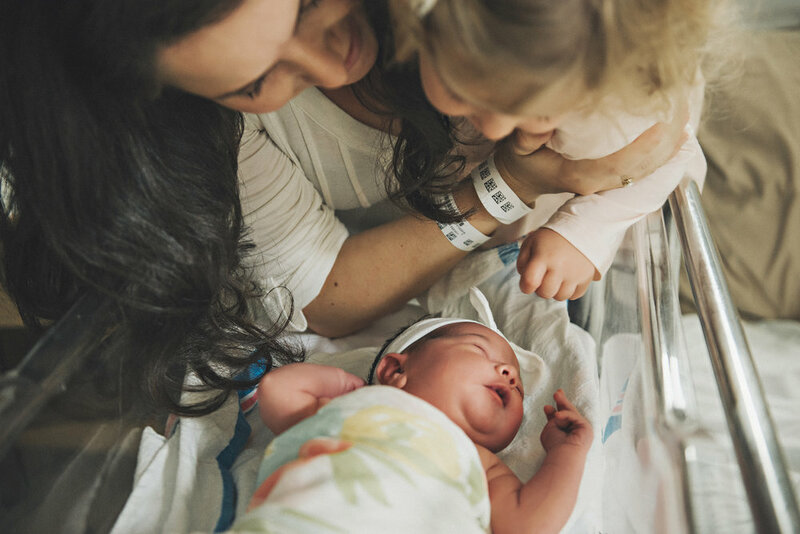 Although I liked my OBGYN, I did not have a positive experience at my hospital and as a result of all of these things, I was determined to have a different experience with my second birth. Soon after I found out that I was pregnant, I began looking for a new medical practice and hospital. I ended up becoming a patient at a midwifery practice that delivered babies at the hospital one block away from my home. I really liked all of the midwives and their more holistic approach to birth. I also began looking for a birth and postpartum doula and found one through Carriage House Birth who had attended over 40 births. A friend gifted me the book “The Doula's Guide to Empowering Your Birth” and I enjoyed reading it before bed at night and practicing breathing exercises and saying positive affirmations before I went to sleep. I felt much more confident with my support team this time. My due date was October 28, just two days after Adina’s second birthday. 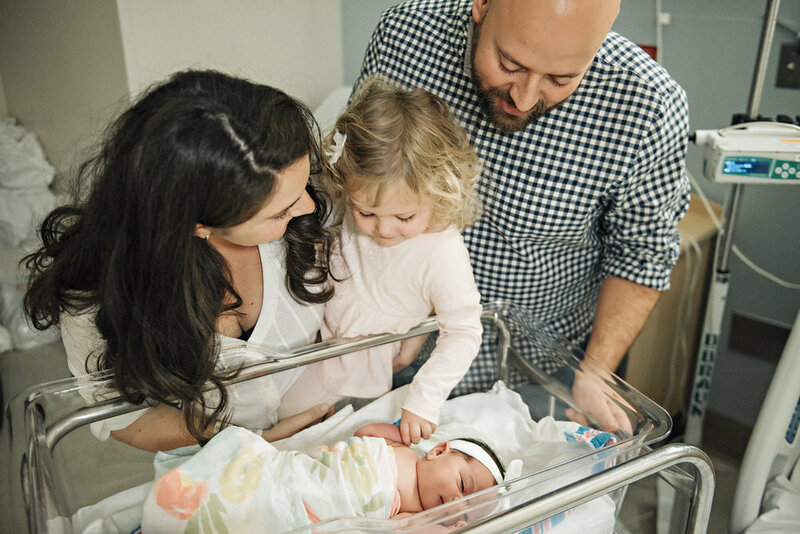 Many people have told me that it was likely my second baby would come before my due date, and since Adina was born a week before hers, I was prepared to have the baby at 38 or 39 weeks. Little did I know, I would end up delivering at 42 weeks plus one day, over two weeks after my due date. Since I was induced for my first birth and it was not the best experience, I was really hoping to avoid an induction this time around. Starting at 38 weeks, I began doing things to encourage labor to begin naturally. 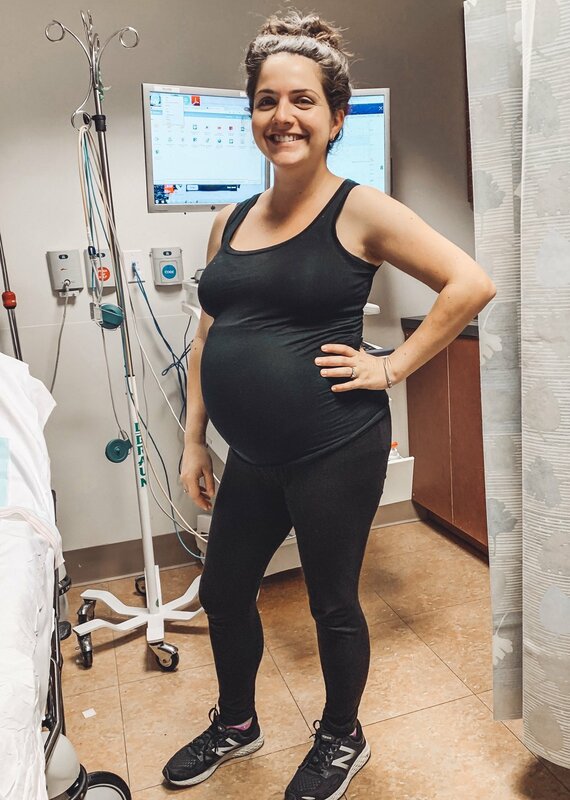 Throughout my whole pregnancy, I felt really good physically and stayed very active (the truth is, I didn’t really have a choice since I was chasing around a toddler all he time.) Even up until the end, I was walking every day, going up and down stairs, lifting my two-year-old, and taking care of myself. We even hosted a second birthday party for Adina two days before my due date, and to be honest, I didn’t think we could pull it off with me being almost 40 weeks pregnant. My due date came and went, and every day I woke up wondering if this would be the day my baby would be born. Since I didn’t go into labor on my own the first time, I had not experienced this waiting game before. Even though I was physically feeling great, the uncertainty of when I would have my baby was driving me crazy! Not to mention, my friends and family were constantly checking in on me to see if there were any updates. Every time I saw friends in the neighborhood or dropped off Adina at school, everyone was so surprised to see me still out and about. I continued going to my prenatal appointments with the Midwives, and they assured me that everything with me and with baby looked good. 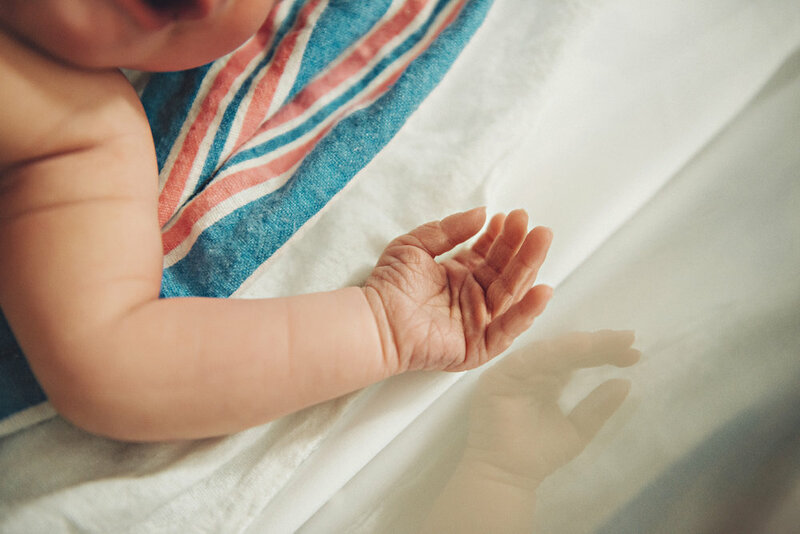 Starting at 40 weeks, I began doing non-stress test and bio physical exams twice a week to ensure that the baby’s heart rate was normal, that her growth was where it should be, and that I had enough fluid. After one of the tests, there was a chance that the baby’s heart rate was slowing during some of my Braxton Hicks contractions, and we thought we might have to have an induction that day. After further testing, the Midwives sent me back home and that is when I really started to try to naturally induce myself. And you better believe that I was trying every trick in the book. I was eating tons of dates, fresh pineapple, spicy food, a special eggplant parmesan recipe, drinking red raspberry leaf tea, taking evening Primrose oil supplements every day, bouncing on a yoga ball for hours every day, I got prenatal acupuncture four times, I got two acupressure massages, went on a number of several-mile walks and more! And yet there was no sign of baby! At my 40 week midwife appointment, I was planning to have a membrane sweep (basically an internal exam, but it can often jumpstart labor) but was disappointed when I was told that the baby’s head was too high to do it. 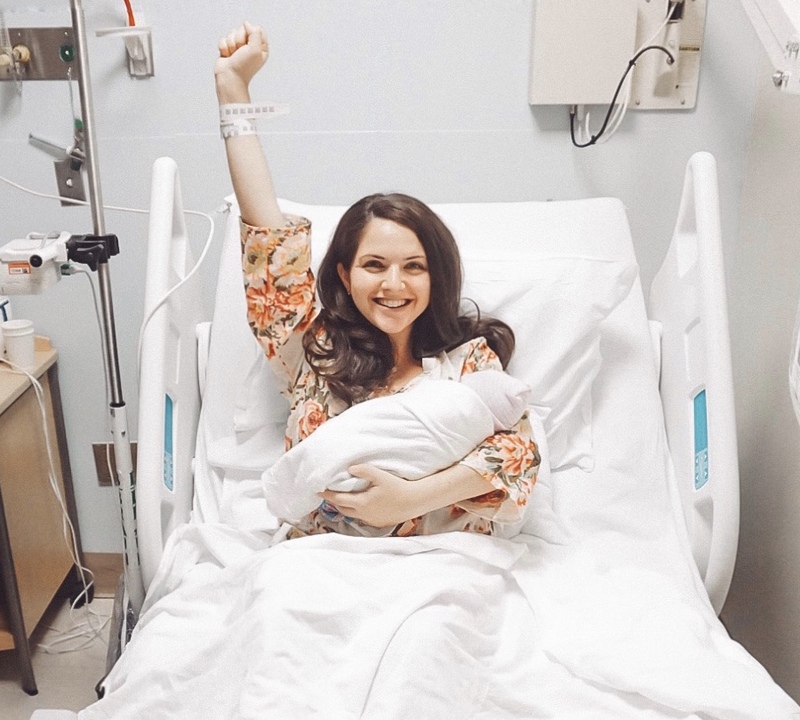 I was so mentally prepared - I had been in “nesting mode” for so long and my hospital bag was packed for weeks at this point, that every day after my due date, I became less and less patient. On Monday, November 5 (41+1 weeks) the midwives told me that if I had not gone into labor over the weekend, we would schedule an induction for Monday, November 12. On Friday, November 8, I had my last non -stress test and bio physical exam and still no sign of baby. That weekend, I decided to just relax and get pampered so naturally, I got my nails done, got my eyebrows done, and got my hair blowdried. Having a good hair day always makes me feel better, and I wanted to feel my best going into the delivery. On the morning of the 12th, I made sure to eat a big breakfast. I had eggs, toast, sweet potato mash, steamed kale and two cups of tea. My sister was staying with us at the time and she took Adina to school. Michael and I walked over to the hospital with all our stuff (basics like toiletries, change of clothes, and snacks plus a couple of extra pillows.) We live one block from the hospital so it only took 5 minutes or so to walk over straight to the labor and delivery floor. The floor was pretty busy and they did not have a room for us right away so we hung out in the waiting room for a while until a room opened up for us. I was in touch with my doula to let her know we were at the hospital, but she would wait until the induction began to actually come. First we went to a triage room, which I was familiar with. It was about 11:30 in the morning at this point, and we were in one of the triage rooms with the fetal monitors on. The midwife checked me and I was about 4 cm and 60% effaced so the plan was for me to start with pitocin once a room in labor and delivery became available. A nurse also started me on an IV line. About two hours later, we were transferred from triage to a labor and delivery room and they started me on pitocin. The room was really spacious and had a comfortable chair for Michael and a TV. We put on HGTV and started watching one of my favorite shows - Love It or List It. At this point, it was almost 2 o’clock and my contractions were about 10 minutes apart. I was lying down with a peanut ball in between my legs to try and get the baby’s head down. I rotated lying on both sides with the ball. It wasn’t painful, but it wasn’t so comfortable either. My doula arrived around 2:45 and offered some ideas to enhance the environment in the room. She dimmed the lights, began diffusing some essential oils (lavender per my request), and playing some music. (My sister had put together a Spotify playlist for us with some of our favorite songs. I have actually been listening to it all the time because it’s so fun and uplifting.) These little things totally shifted the feeling from a bright, sterile hospital room to a more chill and relaxed vibe. My doula also asked if I wanted to labor out of the hospital bed. I hadn’t even considered it since during my labor with Adina, I was in the hospital bed the whole time. The nurse and midwife said it was fine, as long as they could still read the fetal monitors. I started laboring on one of the large medicine balls (like the one I had been bouncing on for weeks at home) but I didn’t feel so stable on it. My midwife invited me to try one of their new laboring tools, the CUB (Comfortable Upright Birth Support) a versatile and inflatable birthing support designed to help mothers during labor as an alternative to a birthing ball. I liked this A LOT! I could sit comfortably on it and began bouncing lightly and swaying back and forth on it. The frequency of my contractions increased and my doula applied some pressure on my lower back as I sat on the CUB and breathed through each one. With her help, I also removed the fetal monitors and used the bathroom a couple of times during labor, something I didn’t know was an option. When my midwife came back in to check on me a couple of hours later, she asked if I wanted an epidural. My contractions were about 5 minutes apart and I was 7 or 8 cm dilated at this point so things were definitely progressing. We watched the contractions on the monitor and I got really quiet and braced myself on the CUB during the height of each one. My midwife said if my water didn’t break on its own, that they would break it for me, but if I was planning to get an epidural, she recommended waiting until I got it to break my water. I talked it over with Michael and my doula and decided to wait a little bit longer before getting the epidural so I could continue laboring out of the bed (I didn’t want to be confined to the bed longer than I needed to be) and to see if my water would break on its own. Spoiler alert - it didn’t. The anesthesiologist came in around 6:30 pm to administer the epidural. During my first birth, Michael had to leave the room for this, but this time he stayed with me while I got the epidural. The anesthesiologist had a little bit of trouble finding the perfect spot on my back so it took her a couple of tries. Not going to lie, this made me really nervous. 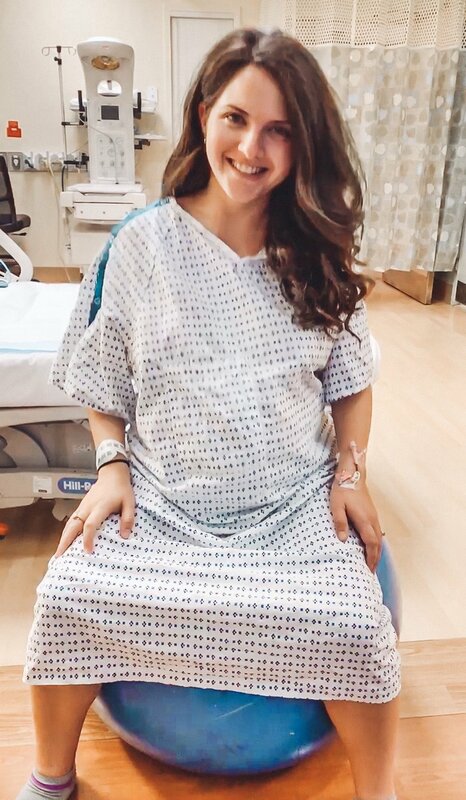 I tried to remain calm, but up until this point, everything was going pretty smoothly and I was holding my breath and crossing my fingers that the epidural would go smoothly too. Thankfully it did and I felt so much relief (both physical and emotional) once I got it. After that point, I was semi-reclined in the hospital bed. We turned the TV off and were jamming out to Kishi Bashi, Bob Marley, and Earth, Wind, and Fire songs from our birth playlist. When my midwife returned, she said based on how things were going, it looked like baby would be here pretty fast. 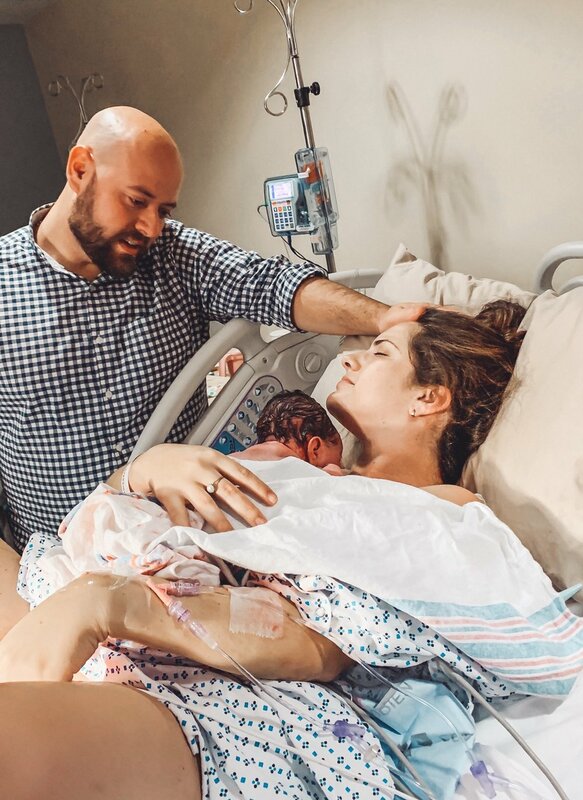 I had a hard time believing her, because I had only been laboring for 5 hours, and I was mentally prepared for us to be at the hospital laboring all night long. Well, she was right and once she broke my water, things happened quickly! The baby’s head dropped completely and she said I could try a practice push during the next contraction. This was around 7:45 (I only know these approximate times from looking through texts and videos/photos on my phone to help me remember the timeline.) After the practice push, she said the baby would be here within a few minutes! I couldn’t believe it! I had a nurse on one side of me and Michael on the other side, holding my legs. Ten minutes and two big pushes later and she was here!!! She was born at 7:58 pm and weighed 7 lbs 11 oz and was 21 inches long. Baby was perfect! A full head of jet-black hair, plump facial features, and the cutest little arm rolls! My doula captured some amazing pictures and I am so grateful that I have these images! They immediately put the baby on my chest and Michael and I just looked at each other and cried. 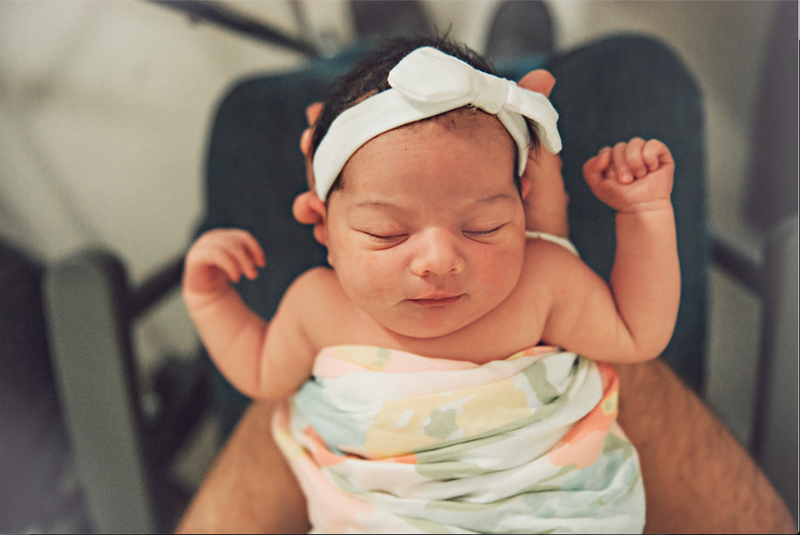 Unlike my first birth experience, in which the baby was quickly whisked away from me to the NICU and I was really out of it after nearly 4 hours of pushing, this time I was alert and elated. Our birth preferences were honored - including delayed cord clamping (Michael cut the cord!) and breastfeeding right away. We actually did skin-to-skin for an hour before they took any of her measurements or cleaned her off, something I sorely missed doing with Adina. 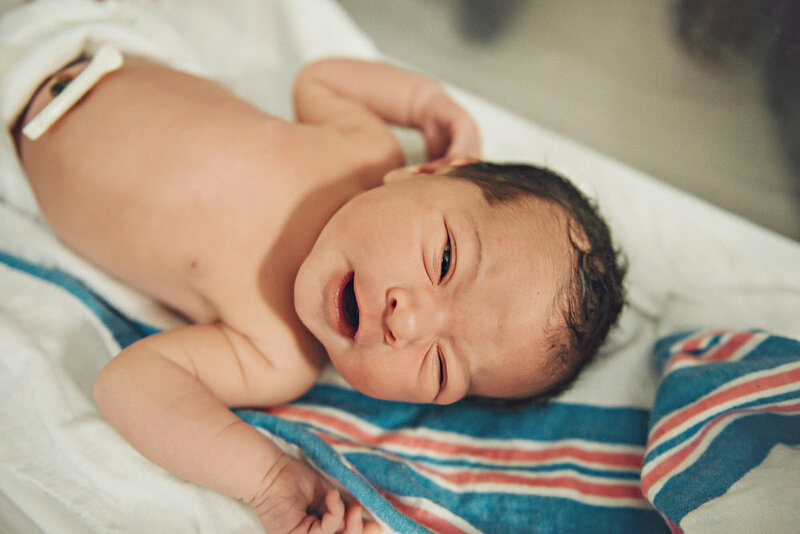 While we were doing skin-to-skin, I delivered my placenta and my midwife stitched me up. I tore a little bit over the scar tissue from my first delivery. 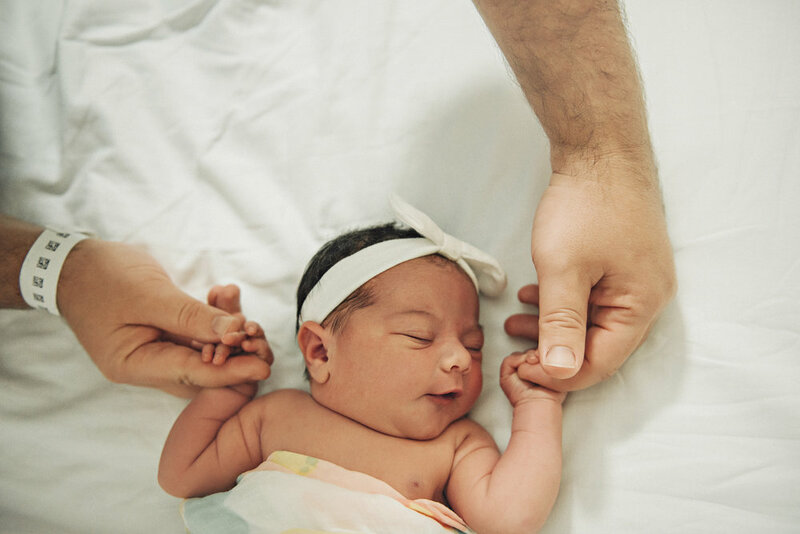 Michael and I had discussed names but it wasn’t until we saw our baby girl that we knew she would be called “Noa Ella.” Noa’s eyes were wide open and she was practically lifting her own head up as she lied on my chest. Strong girl! Our parents and my sister came in one at a time to see us. Shortly after, we were taken upstairs to the recovery room, where we spent the next 2 nights. 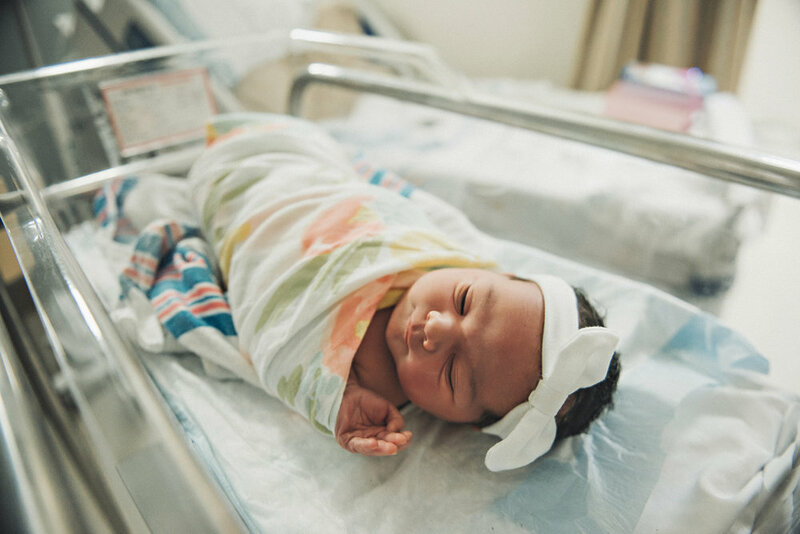 Most NYC hospitals have a limited amount of rooms, so it is not uncommon for new mothers to share a hospital room during recovery. At most hospitals, you have to pay extra to guarantee a private room, which depends on capacity. When I delivered in Manhattan, I was in a shared room because they did not have any private rooms available when I gave birth. At this hospital, we requested the private room as soon as Noa was born and fortunately there was one available. Having the private room was wonderful, especially because Michael got to stay over with us. Noa and I went to a breastfeeding class together on Tuesday (our first mommy and me class) and we had our Fresh 48 pictures taken that afternoon, less than 24 hours after she was born. I am writing a separate post about when Adina met Noa for the first time - I’m so happy we have pictures that captured that moment for us. We also arranged to have my placenta picked up on Tuesday to be encapsulated by Embodied Mother Childbirth Support, something I am glad I did. We checked out of the hospital the following morning, Wednesday November 14 and I was feeling so great that we actually walked home from the hospital! I put Noa inside my babywearing wrap, which felt like second nature, and Michael and I walked home together. We entered the hospital just the two of us and left as a group of three. If you made it this far, congrats - I know this was a long read! 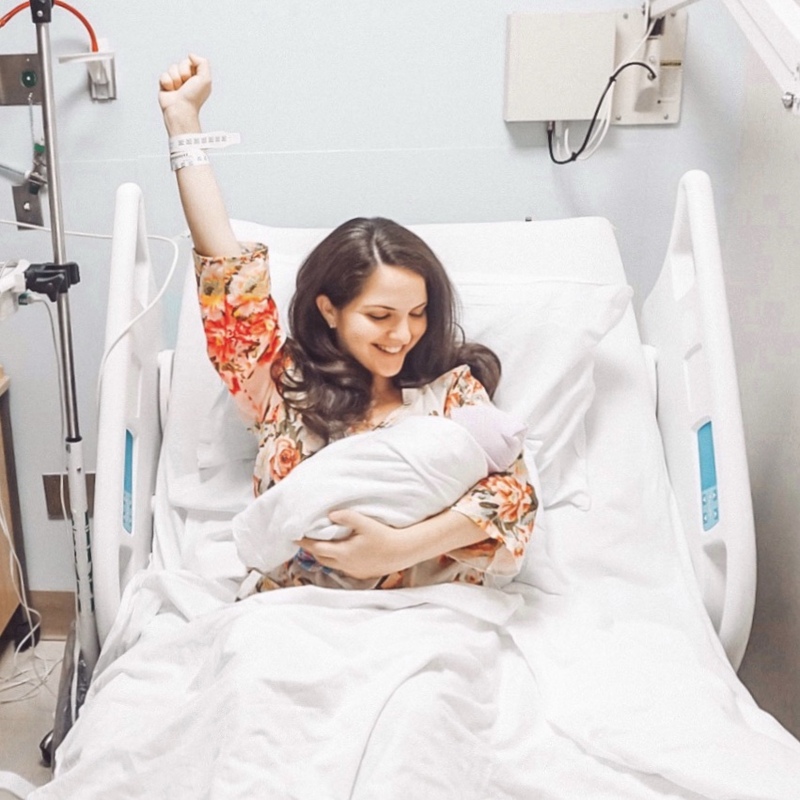 I must admit, I was so nervous about having another induction, and about giving birth again after my first not-so-positive experience. I asked more questions this time around and surrounded myself with a new support network - new midwife practice, birth doula, new hospital - that made me feel so much more comfortable and gave me peace of mind. 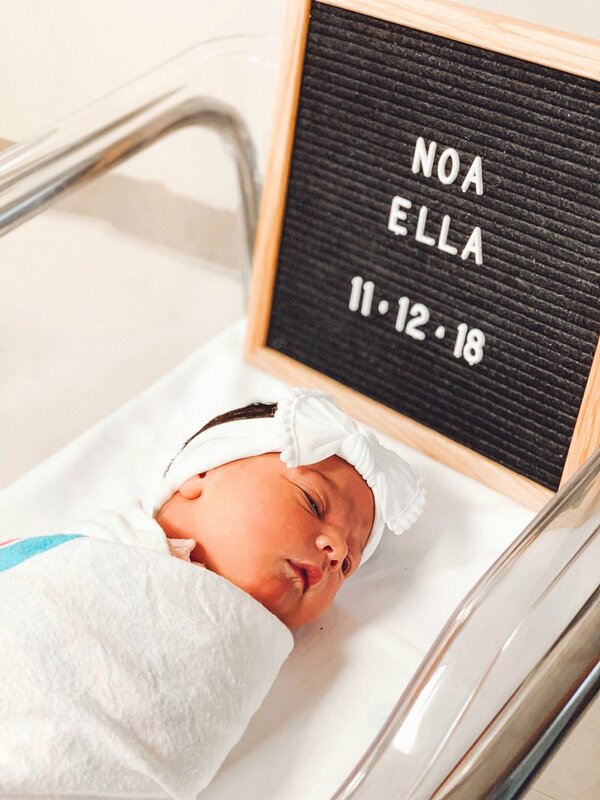 Noa’s birth was a dream come true for me! The labor and delivery were so much smoother than I expected and the healing and recovery were much faster too! It was so empowering and a day I’ll never forget!